"The assassin had escaped through the window"
...and Edgar Allan Poe's detective, Auguste C. Dupin, knows the orangutan did it! 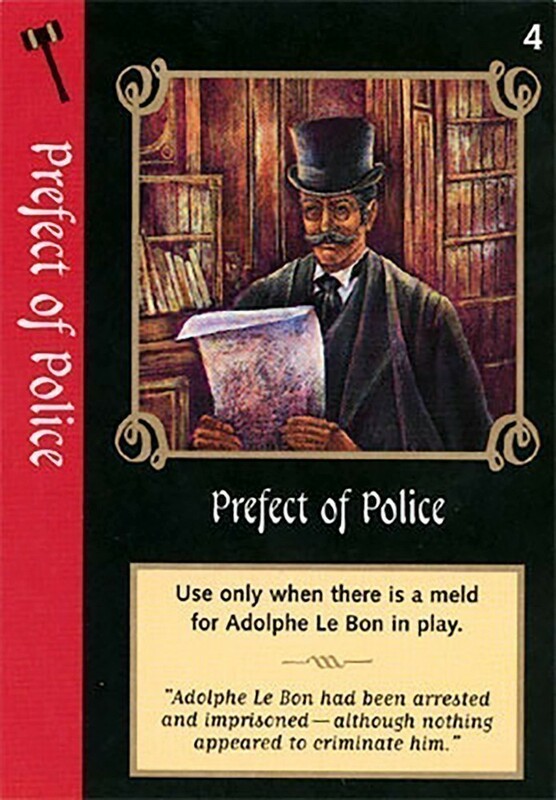 Still, Adolphe Le Bon has been arrested for the crime. Score points for compiling evidence cards and making brilliant deductions to capture the orangutan and prove your case. A stimulating game for two or three "detectives." With four players, enjoy the strategy of partnership play! 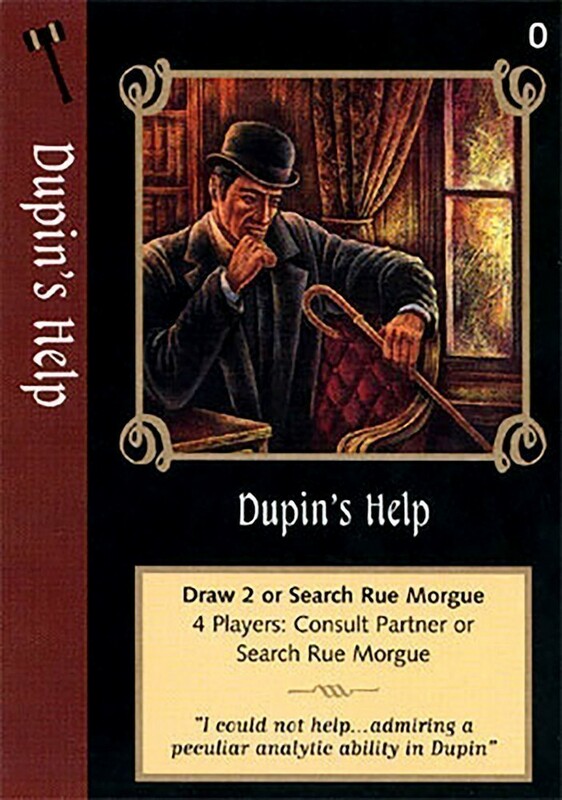 Murders in the Rue Morgue is challenging and fun. 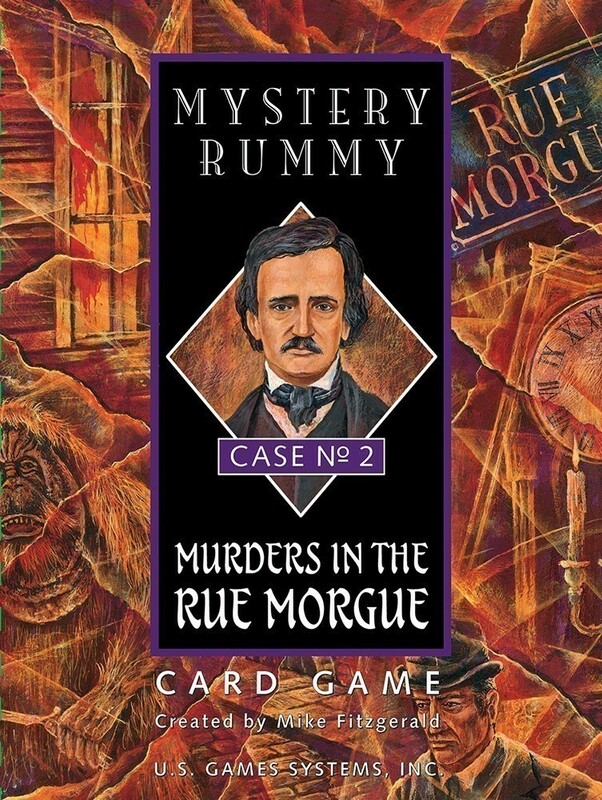 . . a unique combination of a rummy card game and Poe's classic mystery. Different every time you play the game. Ages 10 to adult. For 2-4 players.